In this newsletter we update you on the work Government is doing to support the sector on growing the number of electric vehicles on New Zealand roads. Aucklanders came out in their thousands for New Zealand’s first electric vehicle conference, EV World over the weekend. The busy trade day on Friday featured impressive presentations including from international expert and IDTech chairman Dr Peter Harrop. On Saturday the rain didn’t deter the crowds from arriving bang on 9am. A range of vehicles were on show and outside the venue punters were able to go for a drive with car sellers or enjoy a ride with one of the Better NZ Trust’s EVangelists. About 2600 people attended over the two days with close to 500 people getting to drive one of the EVs on offer and a further 400 going for a ride. 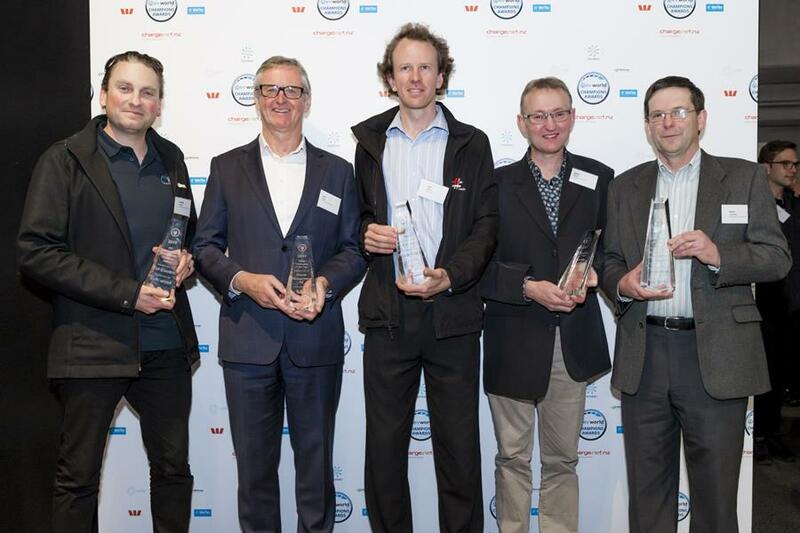 Left to right: Hayden Jones (GVI), Tom Nickels (Waste Management NZ), Carl Barlev (Blue Cars), Mark Nixon (Christchurch EV advocate), Kevin Crutchley (Christchurch City Council). Last Wednesday Christchurch City Council announced details of an exciting project being supported by EECA’s Low Emission Vehicles Contestable Fund. The Council and partners will have a 100-strong fleet of electric vehicles stationed at three hubs around Christchurch city from November and these will be made available for use by businesses and members of the public. The new shared fleet is the brainchild of a Christchurch City Council-led group of organisations with large vehicle fleets that are looking to reduce emissions. 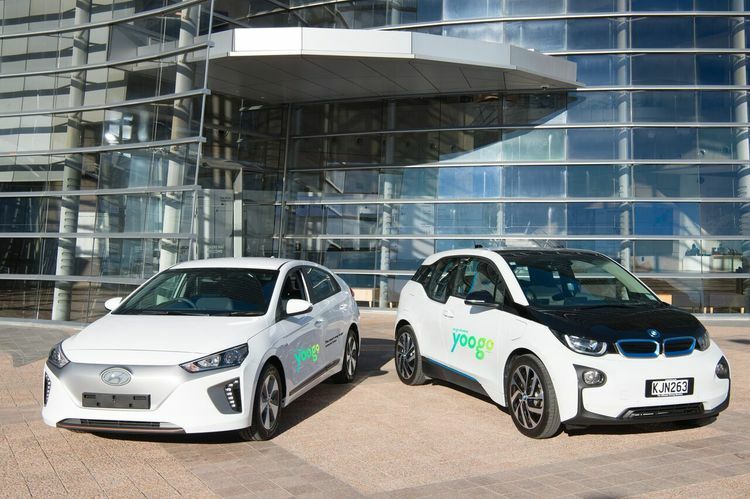 The fleet includes Hyundai Ioniqs and BMW13s that will be available through an online booking system run by car share company Yoogo. Yoogo was selected to implement the service for the Council, Ara Institute, Aurecon, Beca, Canterbury District Health Board, Chapman Tripp, Environment Canterbury, Meridian Energy, Tonkin and Taylor, Warren and Mahoney, Jacobs and Christchurch International Airport. Businesses and the general public will be able to book online and access vehicles via their phone or swipe card. Last week the NZ Transport Agency announced that electric vehicles will have access to 11 priority bypass lanes (motorway on-ramps) on state highways in Auckland for a 12 month trial. Work to prepare the selected lanes with the required signs and road markings has commenced, with all lanes expected to be open to electric vehicles by the end of the month. 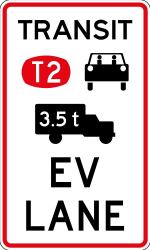 Electric vehicle drivers must check the signage at the start of each lane to ensure they are eligible to use the special vehicle lane. All electric vehicle owners, listed on the Motor Vehicle Register, should have received an information pack about the trial. This trial follows changes to the Land Transport Rules, which came into effect on 1 September 2017, enabling road controlling authorities to decide on a case-by-case basis whether to make bylaws to allow electric vehicles access to individual special vehicle lanes. In August 2017, there were 331 EV registrations. This is the highest number of EVs ever registered in a single month. More than 4,500 electric vehicles are now on New Zealand roads. It is expected that EV registrations will reach 5,000 before the end of 2017. 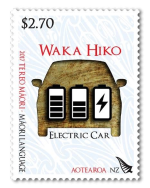 Celebrating Māori Language Week NZ Post has issued a series of stamps in te Reo, including one for waka hiko (electric car). The Māori Language Commission welcomed the stamps and said they reflected a demand for updated Māori words. 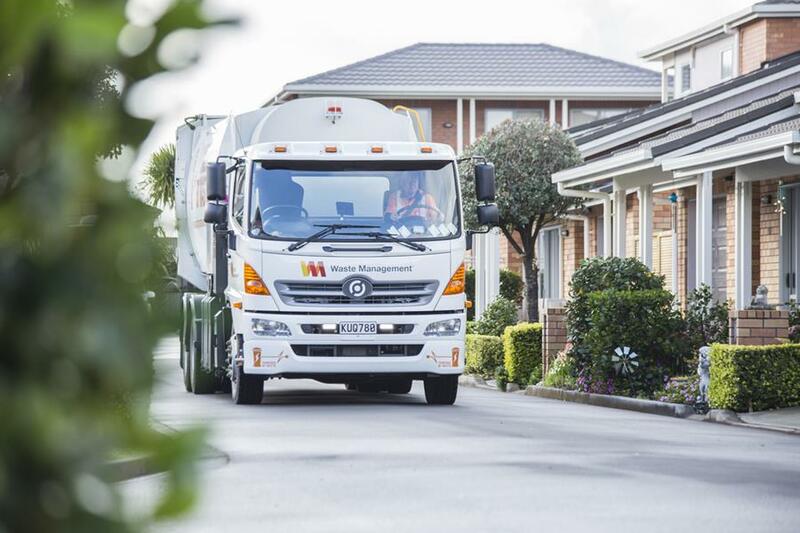 In a first for the Southern Hemisphere Waste Management has an electric waste collection truck ready to start picking up residential wheelie bin waste from next month. Christchurch will be the first city in the Southern Hemisphere to put a 100% electric residential waste collection truck into service. More electric trucks will arrive into Waste Management’s fleet in other cities around New Zealand towards the end of 2017. Waste Management announced its move towards a fleet of electric vehicles in September last year as part of its Sustainability Commitment. Please share this newsletter to anyone who may be interested. They can sign up for EV News here.